How to change staff card PIN number? 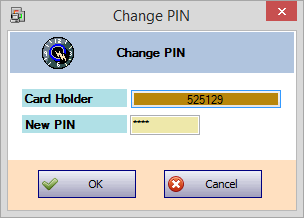 This article contains steps to change the staff card PIN number at the xPortal software. › User can change their PIN number from Utilities menu provided in the xPortal Client. Perform steps below to change the staff card PIN number. 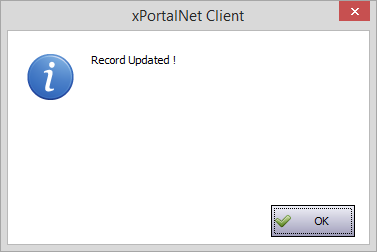 Login to xPortal Client. Make sure the controller is Up. Open Change Staff Card PIN. Go to Utilities › Change Staff Card PIN. Select Card Holder number. Click the Card Holder button. The list of staff record will be shown. Select Card Holder that you wish to update the PIN number accordingly. Key in the New PIN number at the New PIN text box. Please remember the new PIN number as the PIN number will not be displayed from the staff record for security purpose. Click OK to confirm and save the changes. The following window will pop up and the setting will be download to the controller. You may use the new PIN number accordingly. Summary: This article contains steps to change the staff card PIN number at the xPortal software.